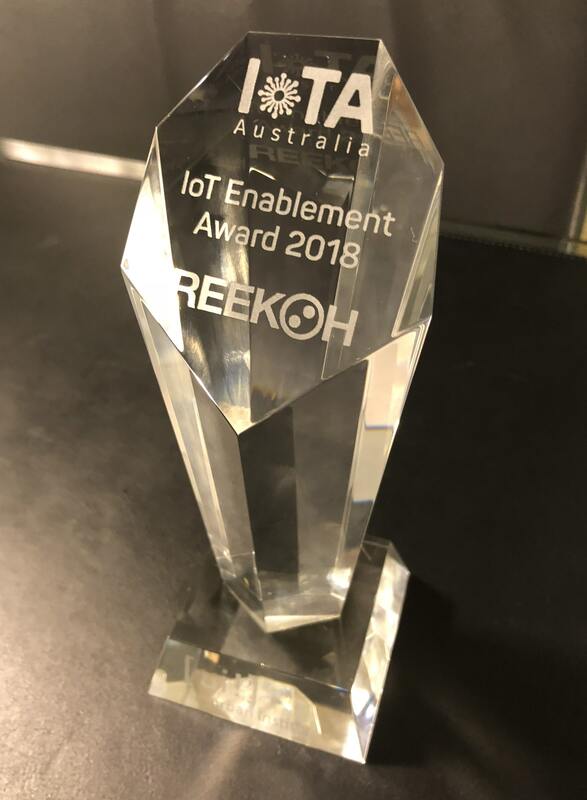 On the backs of the CRN Impact Awards (Emerging Innovator) and Australian IoT Awards (Best Platform or Product), Reekoh has again proven to be leading the field of IoT technology companies in Australia by picking up a number of new awards. The ACOMMs are the annual awards for the Australian Communications Alliance, representing achievements in the Australian telecommunications industry. The awards cover a wide range of categories across network innovation, consumer and business mobile plans, marketing and customer services. This year there were 2 categories for IoT – Innovation in SME (won by our partners NNNCo) and Best IoT Startup, which was awarded to Reekoh. A third IoT company (and another Reekoh partner), Thinxtra, won an award for their Smart City marketing campaign. It was recognised in much of the post-event news that 3 of the 9 categories went to IoT companies, signalling a major shift in the telco landscape. You can read more about Reekoh and the other ACOMM Award winners here. IoT Impact was the inaugural IoT conference and expo from the IoT Alliance of Australia (IoTAA), held at UTS in Sydney in early September. The event aimed to deliver relevant industry insights, leading vendor exhibitions, and hands-on training labs for over 800 registered attendees. As a member of a number of research and industry work-streams within IoTAA, Reekoh was an active participant of the event. The event also included the IoT Impact Awards, recognising market leaders across 3 categories. Reekoh was proud to be awarded the first IoT Impact Award for IoT Enablement, having been nominated alongside NNNCo. and Successful Endeavours.